Noise-induced hearing loss, or NIHL, describes damage to hearing resulting from exposure to sound. This can either be exposure to one very loud sound (such as an explosion) or prolonged exposure to unsafe levels of sound (such as in the workplace). The structure of the inner ear is incredibly sensitive and particularly vulnerable to damage. Hearing loss can occur immediately or deteriorate gradually, and depending on the extent of the damage, this may be temporary or permanent. It may be accompanied by tinnitus. Furthermore, levels of sound which are safe for a short while can become dangerous over longer periods. Common sources of NIHL are in the industrial workplace noise, use of headphones at a high volume, or loud music at events such as concerts. How can sounds damage our hearing? NIHL occurs through damage to and the consequent loss of inner ear hair cells inside your ear. These hairs translate sound vibration into electrical signals for the brain to interpret. In humans, loss of these hair cells is permanent and irreversible. As NIHL can occur gradually, sometimes it can take a while to notice the damage. Therefore common first signs can include: finding it difficult participating in group conversation; having to ask people to repeat themselves; lip reading; struggling to hear when there is a lot of background noise; or turning the television volume to a higher level than your family members like it. Often, it will be a family member who tells you that your hearing is getting worse. You may also experience tinnitus, a buzzing or hissing sound more noticeable in quiet environments which may also interfere with your sleep. If you are concerned that you may have NIHL, you should contact your GP and an audiologist should be able to make a diagnosis using an audiogram. Due to the external cause of noise-induced hearing loss, it is an entirely preventable condition and, as such, nobody should suffer from it if those responsible follow the correct safety procedures. Many cases of noise-induced hearing loss result from prolonged exposure in the workplace. 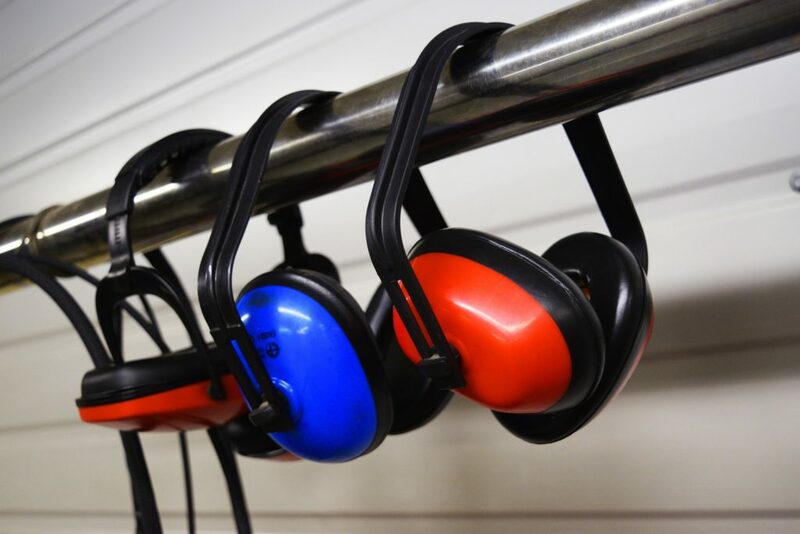 Therefore if you work/have worked somewhere with regular exposure to large levels of noise such as steel works, textile mills, construction sites, bakeries, coal mines or industrial engineering, you should expect to have been provided with hearing protection equipment. If you believe others may have failed to take the correct safety precautions, you may be entitled to compensation. It is normally still possible to receive compensation even if the your employer is no longer in business.